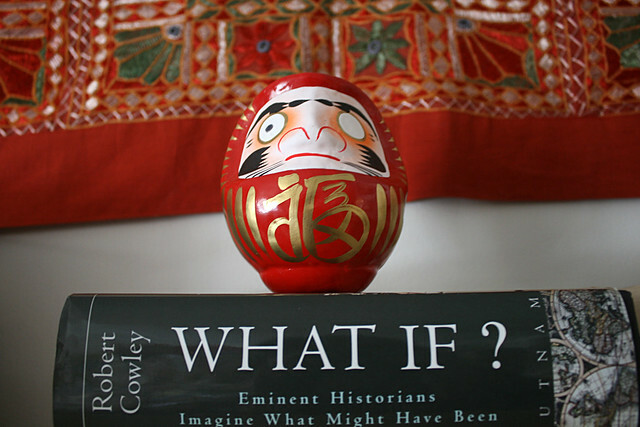 As regular readers know, I’m a big fan of students writing about “What if?” scenarios in our history classes, as well as in IB Theory of Knowledge courses. I’ve also used it in English when have students write alternative endings of stories. You can read more about this strategy at The Best Resources For Teaching “What If?” History Lessons. Today, Scientific American published a nice piece summarizing research on the benefits of “What if?” thinking and also highlighting as aspect that I’ve never really considered in the context of teaching — the idea of personal “What if?” moments and stories. I think that could be a fun writing activity in class. You can submit it here by August 2nd. I love “What if…” activities both for writing and grammar (conditionals) practice. My way of using it is by asking students to add their own visual prompts to the “What if…” scenarios. They usually take pictures on their cell phones and then exchange them with their classmates. This way, they have a class “bank” of picture prompts for Writing tasks.